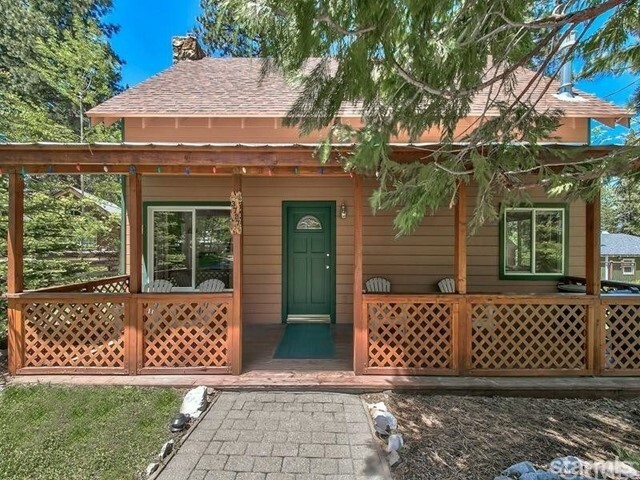 "Tucked away in desirable Tahoe Island, this single-level home has backyard views of Forest Service land, Tahoe Keys lagoon, and a secluded bike path. With one of largest lots in the area, huge backyard, south-facing frontage, and ability to build up, your perfect forever home is right here. Entirely free of tourist traffic, yet within walking distance of South Shore's sandy beaches, Camp Richardson, convenience stores, and dining. Fresh paint and new carpet. This home is ready to be yours"